"When you talk, you give yourself away. You reveal your true character in a picture which is more true and realistic than anything an artist can do for you." Taking inspiration from the great Ralph C. Smedley, we have decided to help people grow into the communicators and leaders that the world needs for the challenges of tomorrow. 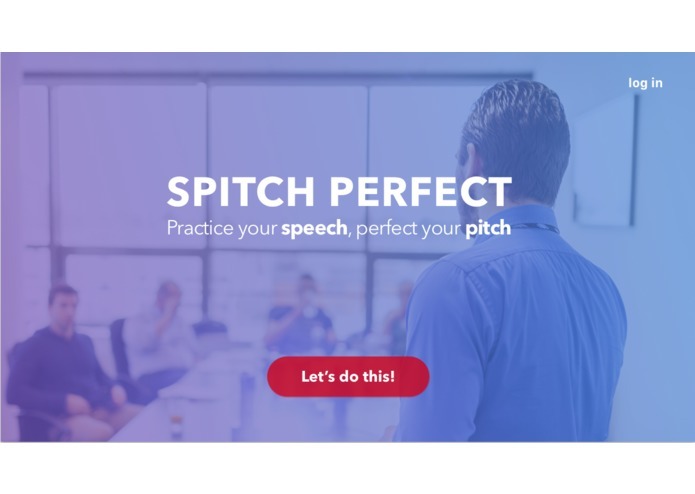 We aim to do this by leveraging innovative speech-to-text and natural language processing technology to help people become better public speakers. Filler words are used by people all the time but ignored by the brains of the person listening. We used the Bing Speech API to record a transcript of the voice and then tried to find the errors in speech. The application’s settings can be changed so that ignores fillers like the human mind is trained to. We ran into problems with the REST API as it would only allow 15-second audio inputs and had to re-adapt our architecture to work around this. We made the effort to switch to developing with more robust client libraries instead of relying on a REST API that only supports limited functionality. Some on our team had never used HTML or CSS before, yet we were able to learn quickly and contribute to our final code. No one on our team had worked with the Microsoft or TextGears API, and we are very proud that we were able to create a working project in just a weekend! Due to time and resource constraints, our first next step will be to improve the user interface further in order to beautify it for our potential users. We also hope to implement a VR element to the product to simulate a more stressful environment for the user. With increased stress, the user would be more error-prone and we want this so that the user can recognize and eliminate these errors even in the most challenging environment. We hope to have a sustainable business so users can continue to enjoy the product and so we can continue to improve it. Our business model will be a freemium model in order to encourage new users to experience the product. The premium version of the product will have added functionality such as custom text analysis that lets them choose certain words they wish to filter out. We will also limit the amount of times users can use our product. By upgrading it to premium, they will have unlimited uses. Another source of revenue would be advertisements from vocal and presentation coaches who are looking for new customers. It was my first time using CSS and HTML, but I was able to help develop a front-end so we could present our project. In addition, I helped devise the idea, strategy, and future roadmap of our project. Software developer in lead, responsible for implementation of core functionality with Bing Speech API, TextGears API and version control. Made a skeleton to help implement the grammar API. I made a feature for the final demo with natural speech. Understood the bing speech API from the demo by Microsoft. I led the development of the idea as well as the UX/UI prototype.